A lovely relaxed ride! Modern compact geometry and a swept riser handlebar combine to provide a slightly shorter, more upright and relaxed overall rider position for confidence-inspiring urban jaunts. 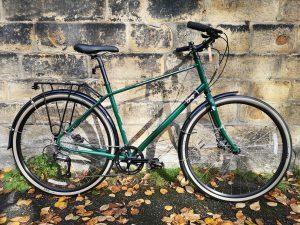 With a brand new, classic-inspired twin-toptube frame design and simplified 1×9 drivetrain, the Borough is a robust workhorse of a bike designed to carry the rider and luggage from A to B in style, with speed, sophistication and comfort. 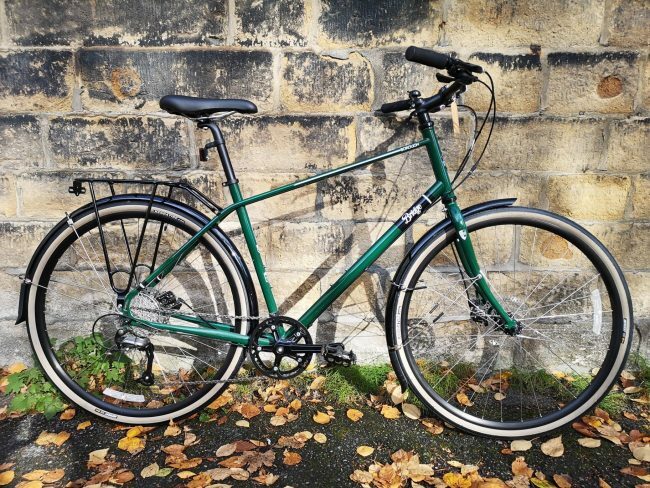 Fully equipped with extended extra-long full-length mudguards, puncture protection tyres, and even a rear luggage rack, the Borough represents the perfect blend of classic, understated looks combined with the modern, dependable and top-performing componentry.